For many B2B technology brands, data is not only a business asset, but a PR tool. No one should underestimate the power of data for storytelling. What we call a “data bureau” – the ongoing release of fresh and relevant information as part of a B2B program – can generate strong media interest in the absence of hard news. The data is often derived inexpensively from behavior surveys or flash polls, or it may already exist within the company’s own research unit. Yet it can yield real insights for inclusion in a thought leadership program for key executives or a brand PR campaign. Sometimes it’s just another way to add a new dimension to an existing storyline. Whatever the case, B2B businesses are in an excellent position to use data-driven storytelling as part of a PR strategy. Here are some compelling reasons why tech PRs should embrace the trend. Journalists look for pitches that are backed up by data in the form of charts, graphs, tables, or interactive infographics. It offers a clear story map and lends credibility to the pitch. In the last few years, as the news industry has been in flux, data-driven journalism has become the standard, as journalists forage for interesting data to either find a new story or support a current one. “Data-driven journalism is the future. Journalists need to be data-savvy,” said Tim Berners-Lee, founder of the World Wide Web. Since there are now fewer journalists hustling to cover more beats and sift through more pitches, a tech PR team can win media relations points by offering readily packaged data-driven stories. Even better, media contacts will come to welcome and expect more relevant data-driven stories about your company over time — which amounts to a fruitful media partnership. “Good data journalism helps to combat information asymmetry,” said Tom Fries, Bertelsmann Foundation. Since PR and journalists (as well as publishers and social platforms) are on the front lines of the war against false news, they value data-based storytelling. Although survey data can be poorly executed or even misleading, statistics add immediate credence to media stories. Once again, a B2B PR team can help journalists by supplying a consistent stream of reliable, compelling data-driven story premises. The overall PR/marketing trend is toward more content, and specifically more visual content. Given the documented power of visuals in the attention economy, it makes sense that data tables and infographics get shared and clicked more than plain text stories. 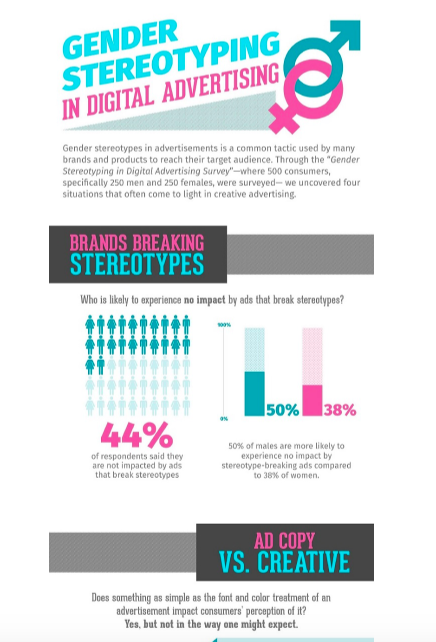 Infographics also offer SEO opportunities for both the news outlet and the sponsor. Social sharing of graphics generates targeted referral traffic and earns links from niche-relevant websites. In other words, data-driven storytelling produces leads. B2B tech enterprise firms have a natural advantage in harvesting data for storytelling. For example, a marketing intelligence platform has built-in tools for generating incisive data-driven stories. An enterprise cyber-security firm should routinely conduct research surveys into business leaders’ security priorities and concerns – their packaged results not only inform the company’s R&D, but also can populate the company’s data bureau of thought leadership, with each media placement underscoring its expertise. The data-driven stories can be repurposed into various white papers, blog posts, and webinars, thus elevating the brand’s reputation as an industry authority. 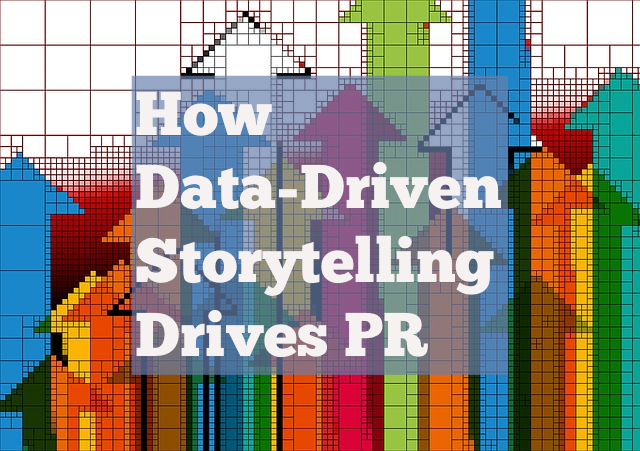 In an increasing personalized marketing arena, data-driven PR stories can help create relevant content for highly targeted prospects. The well-documented trend toward individualized marketing using the ABM model demands more tailored content. Certainly marketing data analysis can help identify the targets. On the other end, rich visual content driven by data can help convert the lead. A PR team can design research surveys designed to generate content that appeals to high-value customers or partners. For example, if a new marketing software wants to attract more upwardly mobile marketing managers, it may design a survey on how millennials feel about location-based ads. A good tech PR team should be asking what narratives are compelling, and what kind of data is needed to support it. They may even be sitting on existing data research that simply hasn’t been mined for relevant story ideas. Your next winning concept may be in a research study or consumer survey spreadsheet, and all you need to do it find it.